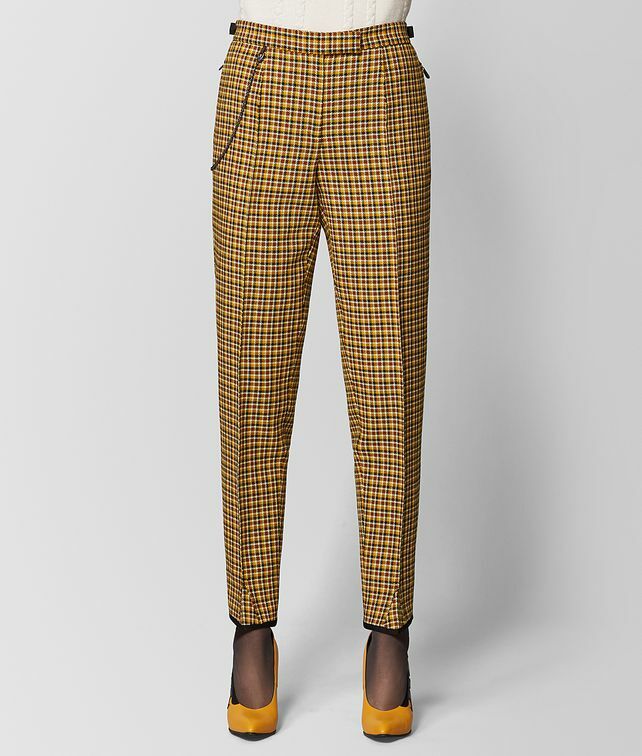 These wool check pants add an elegant touch to any fall look. They’re cut in a slim silhouette that gently tapers at the ankle, which is finished with black trim. A pocket chain adds an unexpected touch to the crisp tailoring. Pair them with the matching wool check jacket to wear as a distinctive suit.